With the state of our national government, people are looking to their local leaders for help. 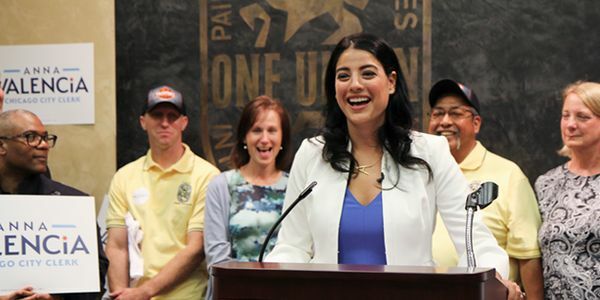 Anna Valencia brings fresh new energy and ideas to city government. Anna is fighting to restore confidence and bring real impact to Chicago by making sure that government works for everyone. Valencia demands accessibility by using her office to bring the city directly to the people. She is delivering services to residents where they already are through Mobile City Hall, working to change the City's practices on its fines and fees, and working hand-in-hand with community-based organizations. Take action today by demanding more access from our Chicago government.